West of 41, 24/7 gate guarded. 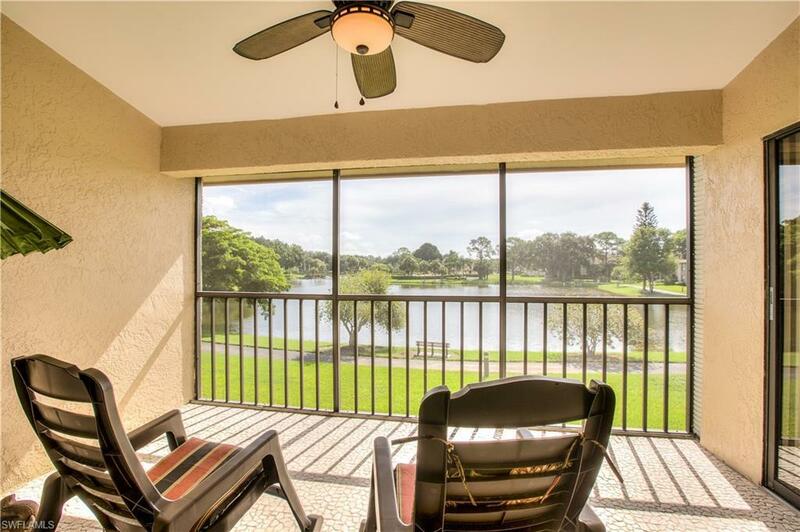 This beautifully maintained 2nd floor end unit in Retreat has spectacular long lake views from your screened lanai. 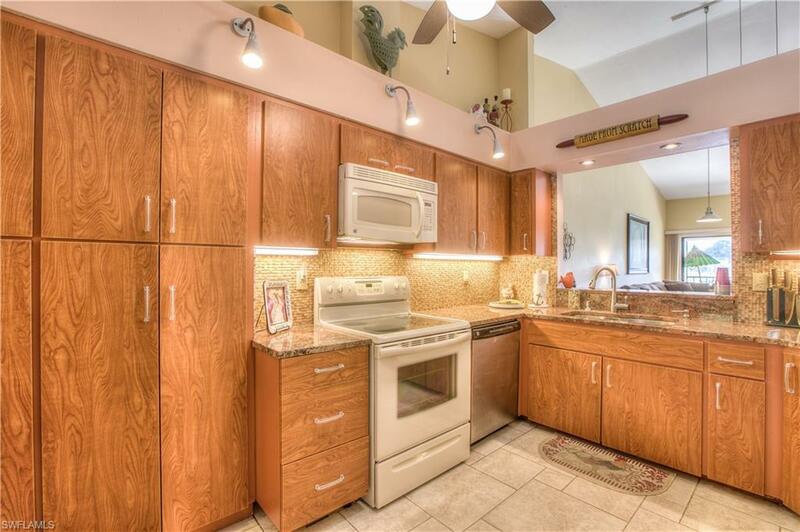 The 3 BR/2 BA condo has 1400 S.F. The 3rd bedroom is currently used as a den. 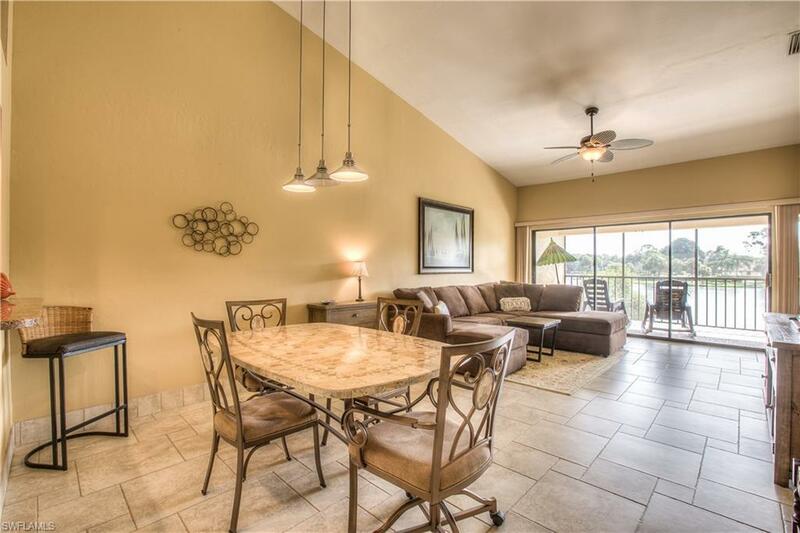 This condo unit is close to and has gated entry on Vanderbilt Drive. Professionally painted in 2018, most floor area is tiled with wood floor in MBR. The MBR has upgraded on-suite and large walk-in closet. 2nd BR also has walk-in closet.The kitchen has been upgraded w/granite countertops. Electric upgrades include new lighting and fans throughout and surge protected circuit breakers. Roof replaced 2018 with all assessments paid. The A/C was new in 2017 and HW heater <4yrs. Large walking/bike path was recently repaved 12/2018 and leads to heated pool/hot tub with BBQ area and open clubhouse area. 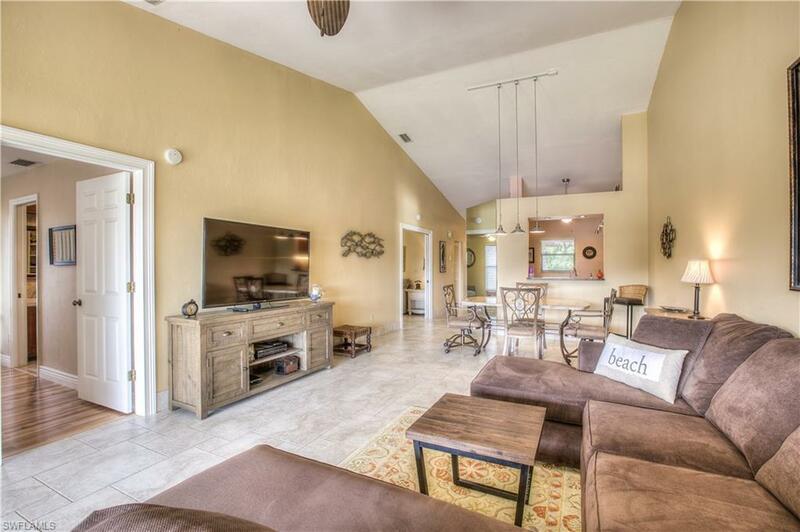 2 tennis courts along with beautifully maintained executive golf course is pay when you play at a low 18 hole fee. Once outside Vanderbilt gate is a short bike ride to Delnor-Wiggins or Barefoot Beach. This is truly move-in ready and furnishings are negotiable after purchase agreement.